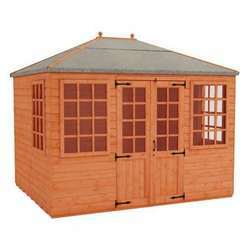 The Tiger Retreat Contemporary Summerhouse is a charming and stylish garden building, crafted from the finest quality materials and finished to our high standards. 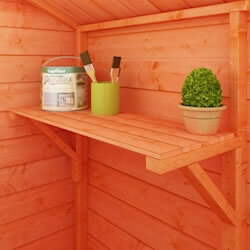 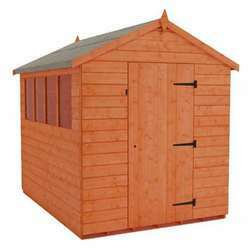 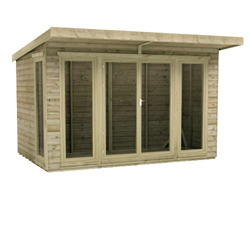 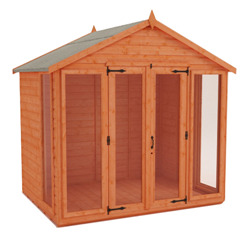 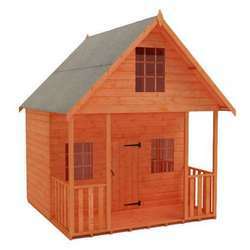 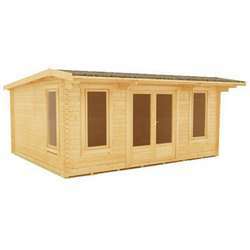 The impressive size, attractive design and premium construction make this summerhouse the ideal garden escape. 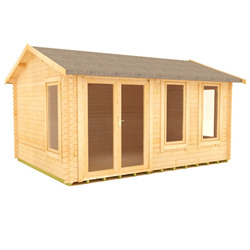 The Tiger Retreat Contemporary Summerhouse bridges the gap between traditional and modern, with a classic apex silhouette and contemporary full pane doors and windows to light up the roomy interior. 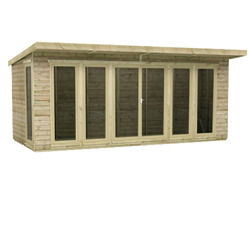 Whether you’re looking for a place for work or leisure, the Tiger Retreat can be your perfect refuge. 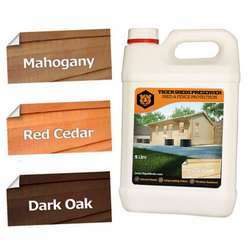 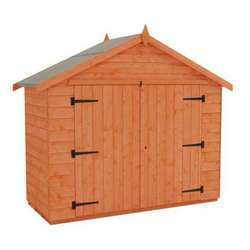 The Tiger Retreat features superior grade, tongue and groove shiplap cladding, as well as tongue and groove boards in the roof and floor for long lasting strength and reliable durability. 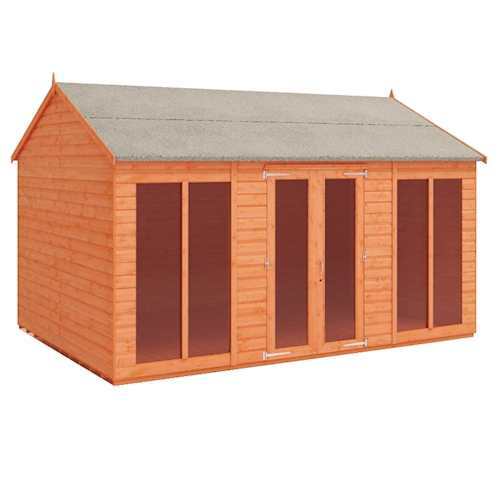 Extra high eaves height and double doors provide easy access, while the toughened double glazing and lock and key system add increased security. 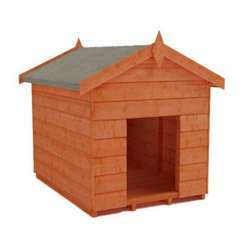 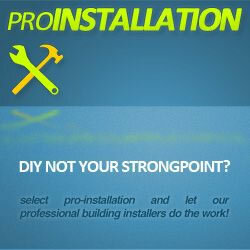 Heavy duty roofing felt is provided as standard for weatherproof protection in all seasons.